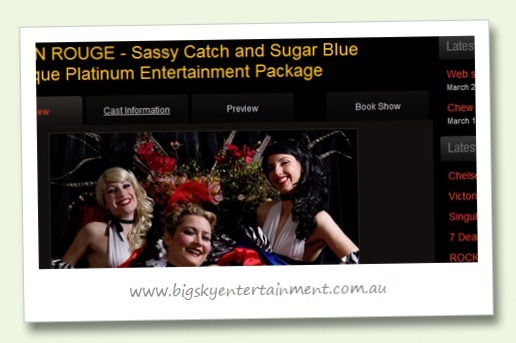 The newest Clever Starfish creation to go live is Big Sky Entertainment. 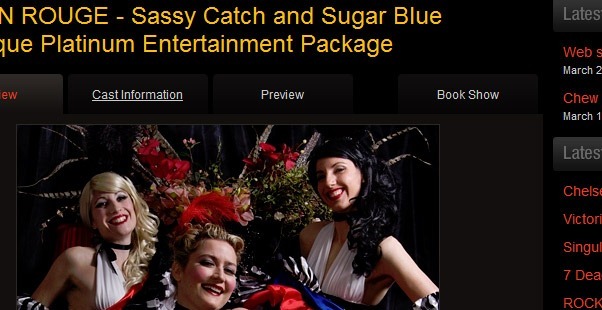 This innovative new company books top professional cabaret, comedy, music and theatre acts for corporate events, and on tour in regional Western Australia, focusing on the mining and industrial sector. The site uses bright reds and oranges on dark earthy tones for a really striking look. WordPress is used for content and news management, and our own Tentacle product management system again makes an appearance for maintaining the shows. Not only does each show have a description, but also detailed cast information and photo galleries as well as an enquiry form with a calendar showing the available dates. Like most of our sites, this one is hosted by the excellent people at Fasthit. The Big Sky Entertainment team were a pleasure to work with and we wish them all the best.